Almost every homeowner is tempted to add a patio to their outdoor living space. It’s like one of the most popular additions that is always interesting to have for sure. The reason why everyone loves patio is that it provides the great enjoyment that will make every house look and feel more exhilarating. It’s a good spot to enjoy the joyful outdoor surrounding with your family and friend. Therefore, it’s always a good idea to consider building a patio when you are going to improve your beloved home. You will have a very fun outdoor living space that you can use anytime you want. However, the cost to build a patio can be quite pricey, especially iof you want to have the one which is designed complicatedly. It also depends on the base material that you use which can be more and more expensive if you pick the premium one. 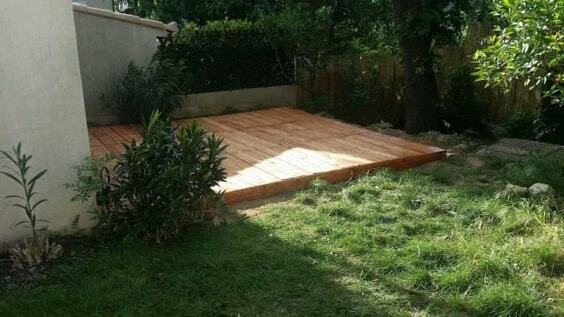 But don’t worry, you can still have an enjoyable patio with the limited budget that you have. It doesn’t need lots of bucks to build, so it won’t cost you a lot. 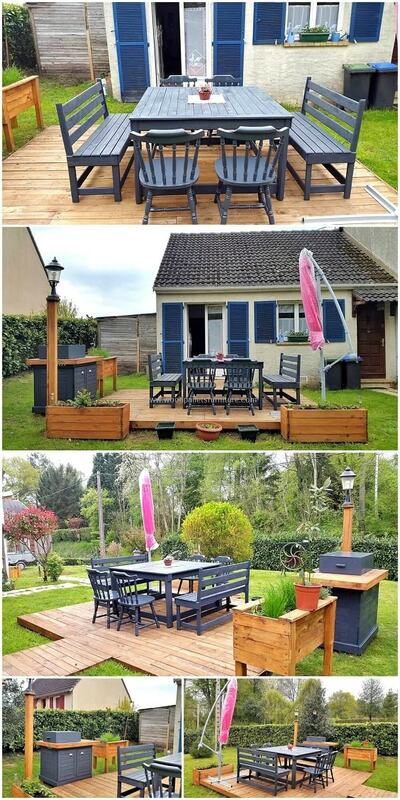 Yeap, it’s a pallet patio terrace which you can build by yourself at home and many homeowners have successfully created this kind of patio in their house. 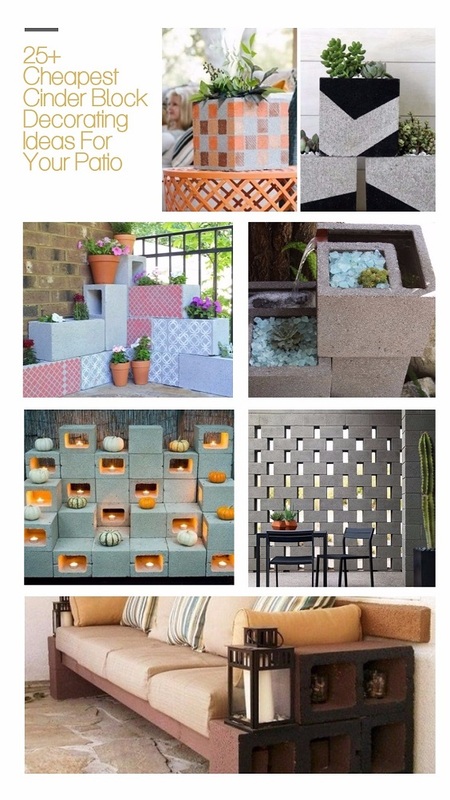 It’s a great solution to have a fun outdoor living space without breaking your bank. 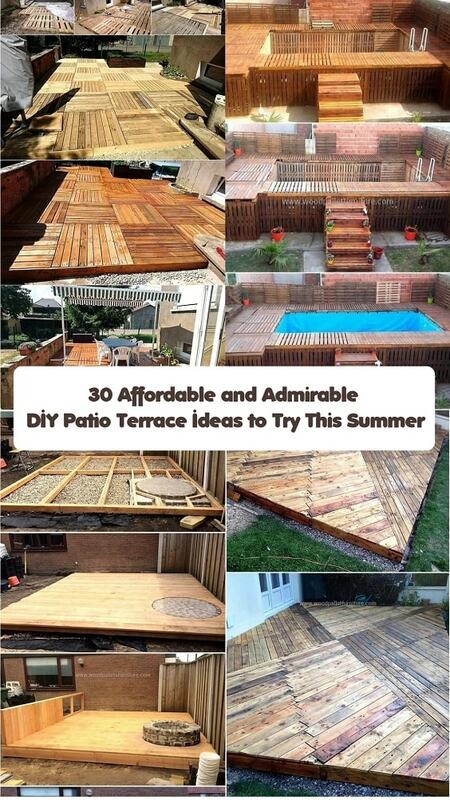 For your ultimate inspiration, here we have picked some inspiring DIY pallet patio terrace ideas which look so tempting to have! Adding a vibrant touch to your outdoor space can be a good thought to make it look more attractive, and this pallet patio terrace can do such job very well. The entire pallet is finished with pink paint which makes it look attractively unique. The simple pallet patio terrace with the raised style which is enough to provide the fun spot to enjoy the summer breeze. Its unfinished style fits well with the outdoor surrounding. 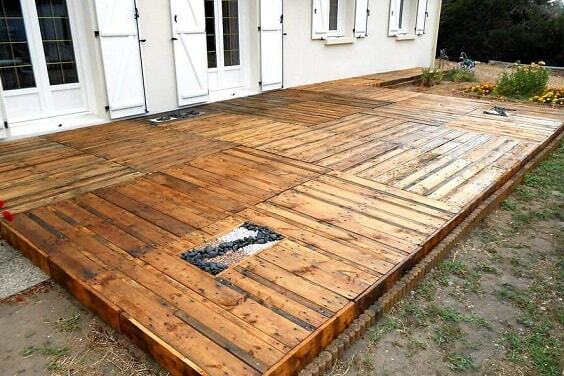 In this idea, the pallet is used as the additional material after the concrete. 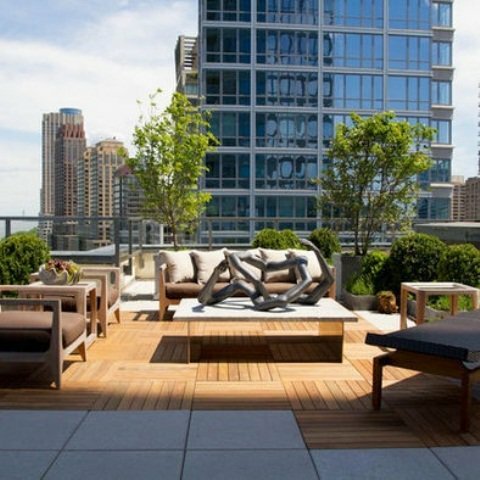 It creates a good combination to make a comfortable and adorable outdoor living space that you can try to copy. 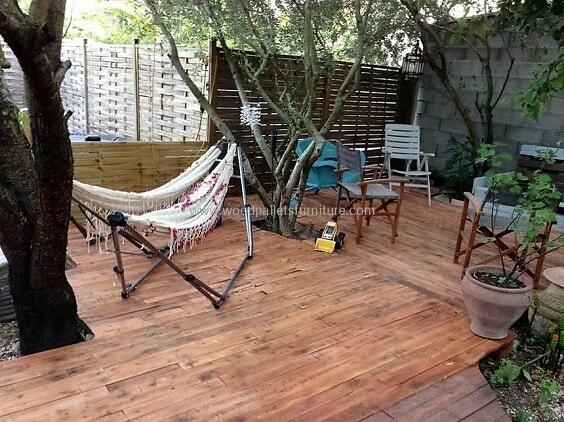 This one is a naturally-inspired pallet patio terrace which looks more distinctive with its weathered look. You can make it easily by just arranging some wood pallet. 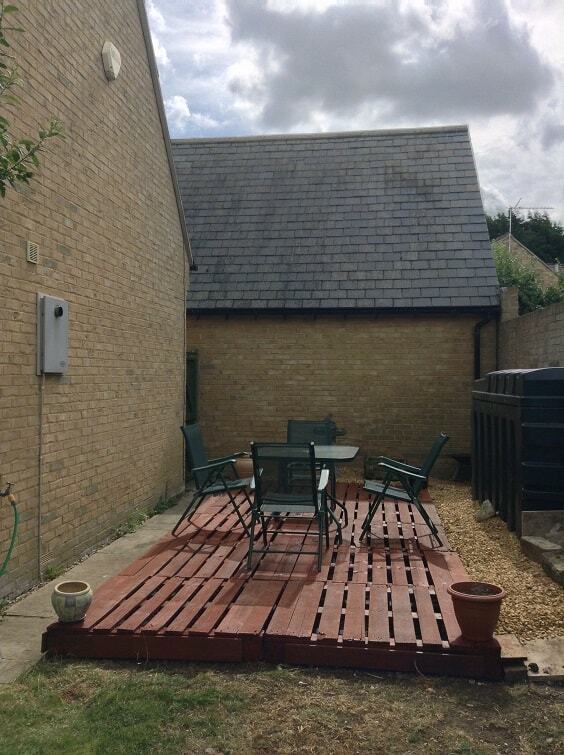 The spacious pallet patio which is built as the direct extension of the house. 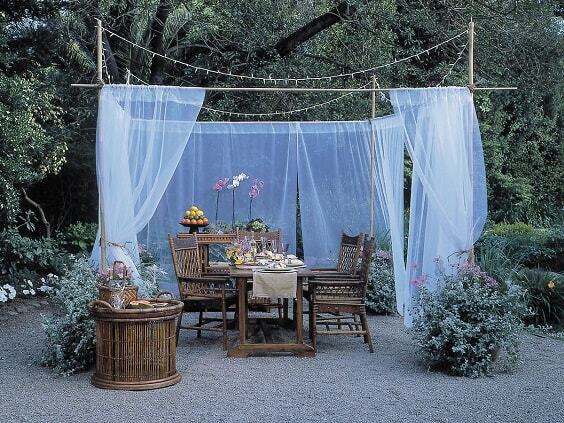 To provide a more joyful spot, the portable shade is placed, complete with the dining set under it. 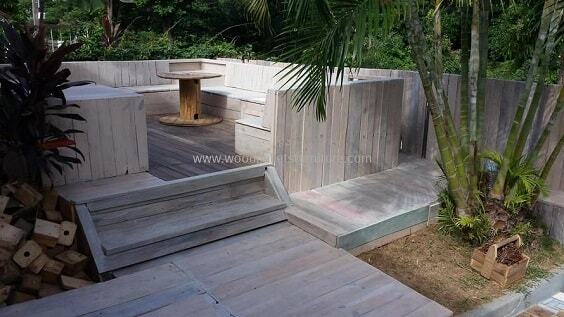 The beautiful terrace which is entirely made of pallet planks in a rustic finish. Then, the wood fence (which is also made of pallet) is installed to provide a better privacy. This one is actually not a pallet terrace, but more like a pallet garden since it’s a complete construction made of the pallet. The furniture is made in a built-in style which also uses pallet as the material. 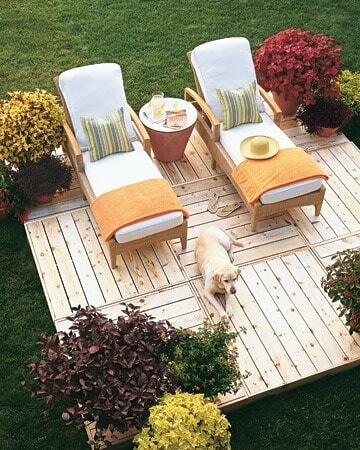 By simply arranging some used shipping pallets, you can have this kind of patio in no time. It’s then stained to make it look more attractive and durable. 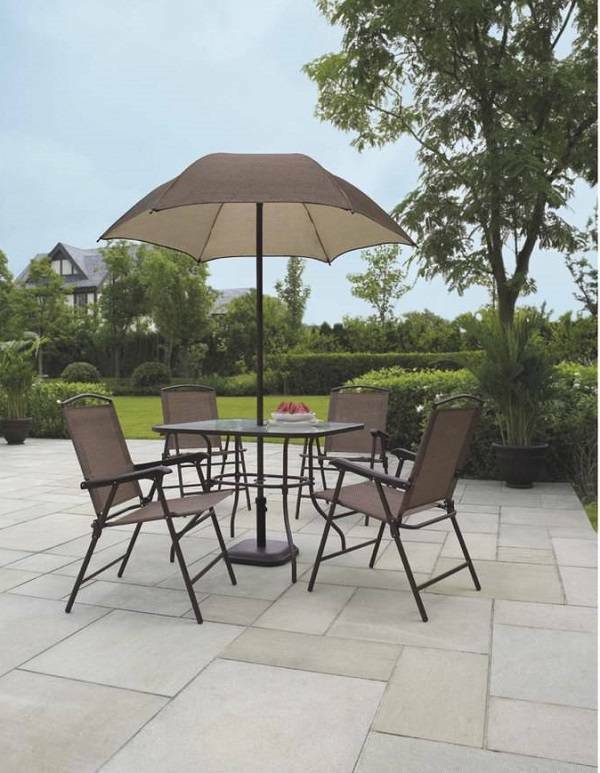 For you who have a spacious outdoor space, this ide can be a good choice to copy. 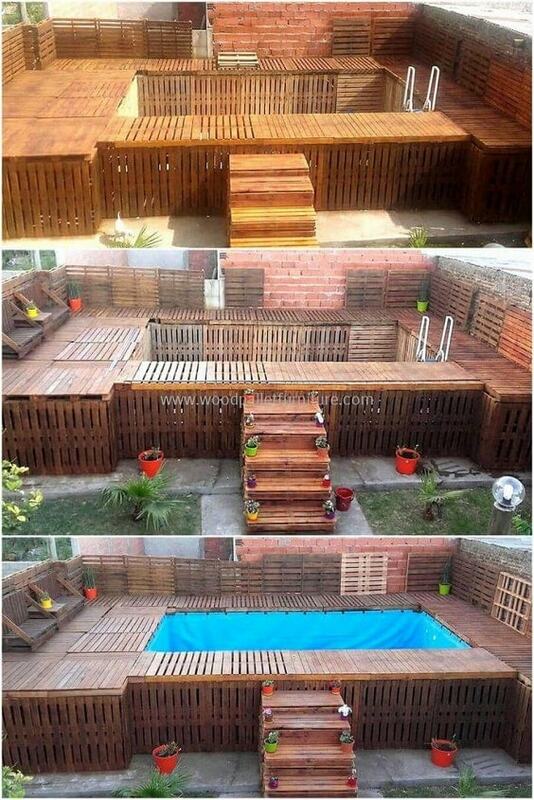 It’s a huge pallet patio terrace with a swimming pool which is built quite high to make your backyard look as amazing as possible. The simple small terrace which looks so adorable with those built-in planters. 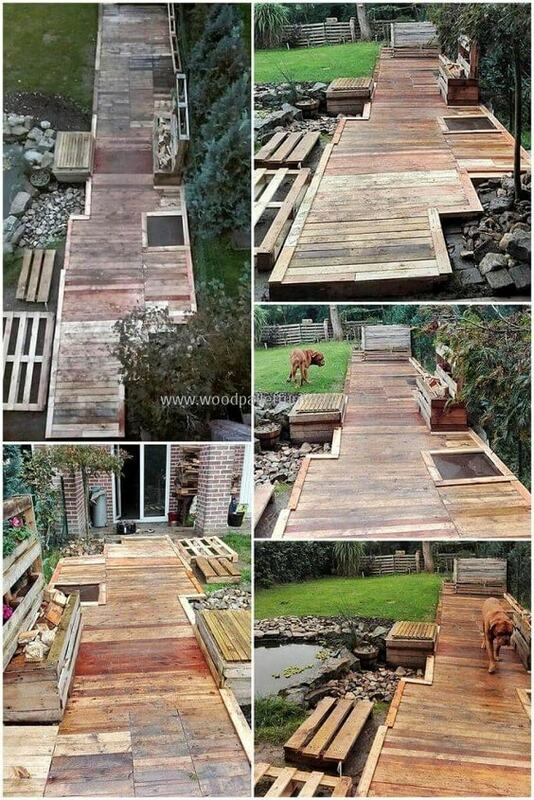 It also has the walkway which connects the house to the patio (also made of pallet). Adding a firepit to your patio can is always the great way to make it feel way more fun, and this idea shows how to make one easily. 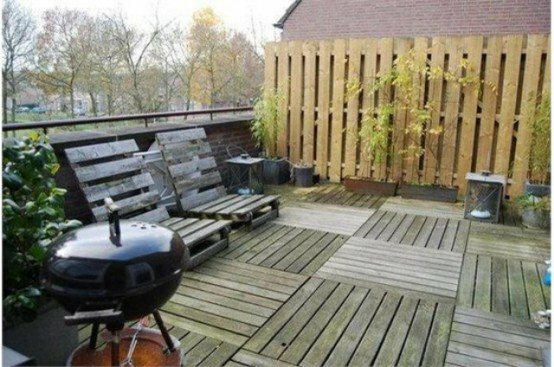 It’s a raised pallet terrace with the built-in fire pit which is made of the concrete and blocks. 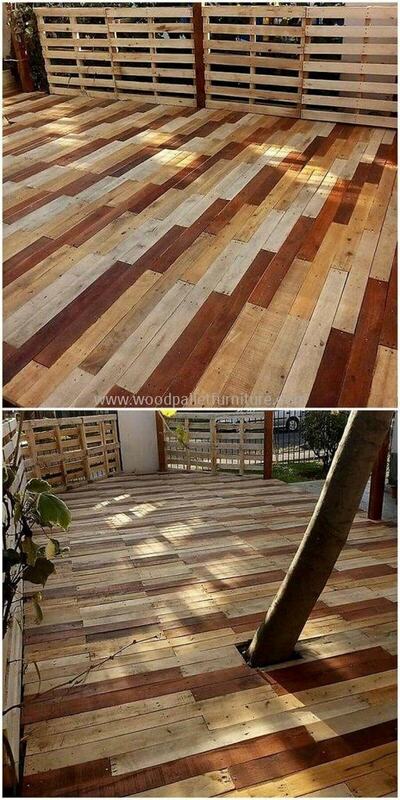 If those rustic or natural pallet patios don’t suit your taste, this decorative idea can be a good option for you. 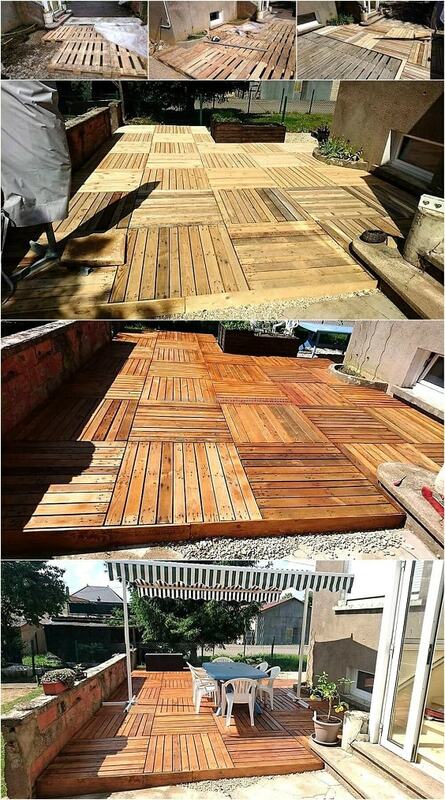 The pallets are finished with various wood shades then arranged properly to create a catchy terrace. 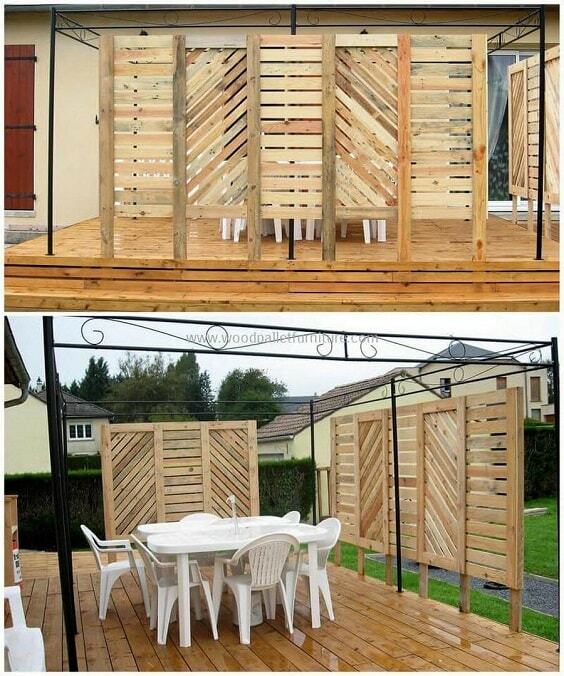 Another inspiring idea to make your wide outdoor space become more functional, it’s a long patio which is entirely made of the wood pallet. By this design, you can have lots of sitting area for all the coming guests. If you have a big tree in your backyard, you can turn it into a natural shade. 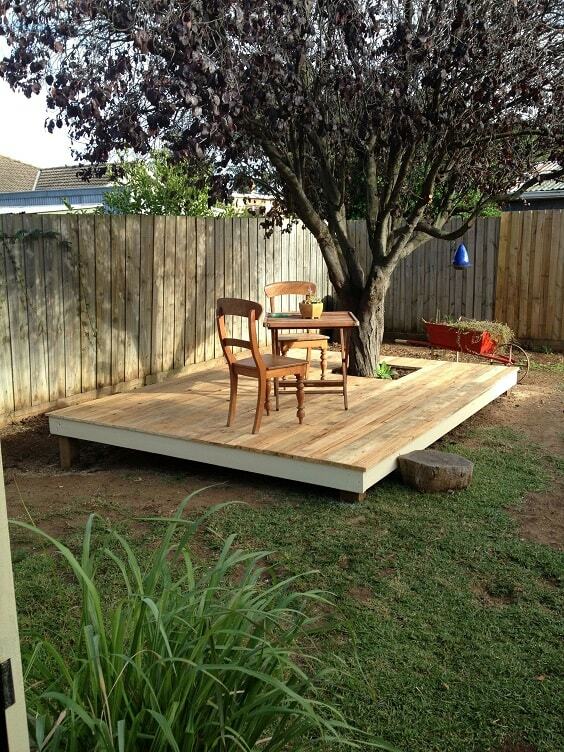 This idea shows a pallet patio which is built underneath the big tree which looks and feels so inviting. The piece-of-cake patio which doesn’t need lots of elbow grease to make. 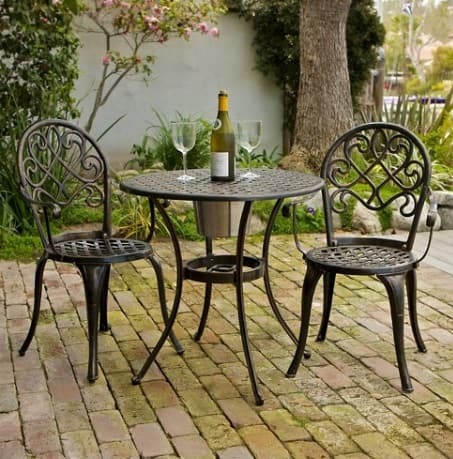 You will only need to give the pallet brown finish and arrange it to form a cozy terrace which can occupy a medium dining set. 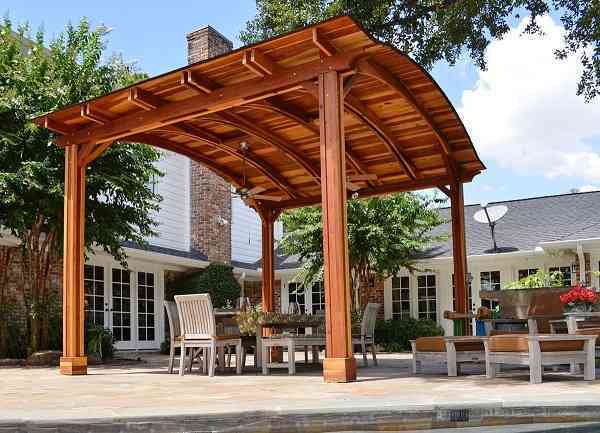 Having a patio with pergola totally sounds much better since you can enjoy it more comfortably. 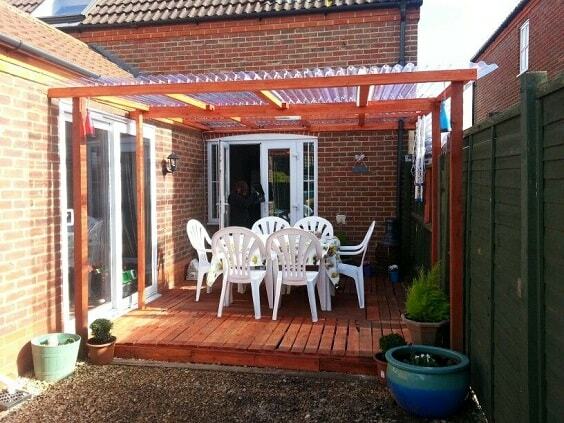 Here, a DIY patio with transparent acrylic shade completes a pallet patio perfectly in a very affordable way. The artistic pallet terrace with the catchy privacy screens which look so tempting to try. By those screens, you will be able to enjoy your outdoor place intimately with your loved ones. 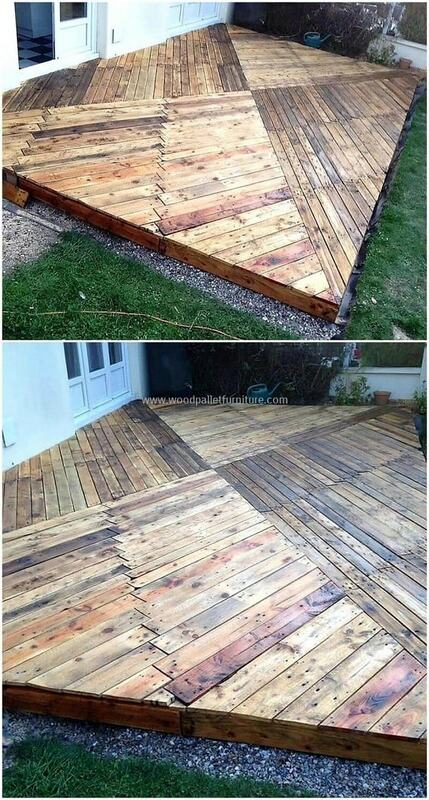 This idea shows an easy way to make a pallet patio look more attractive with its triangle pattern. The distressed and weathered look of this patio also makes it look naturally beautiful. 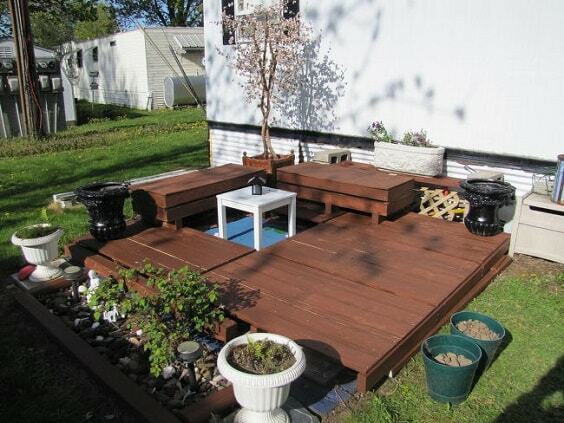 The simple attractive pallet terrace which is entirely finished in brown to match with the green grass surrounding. 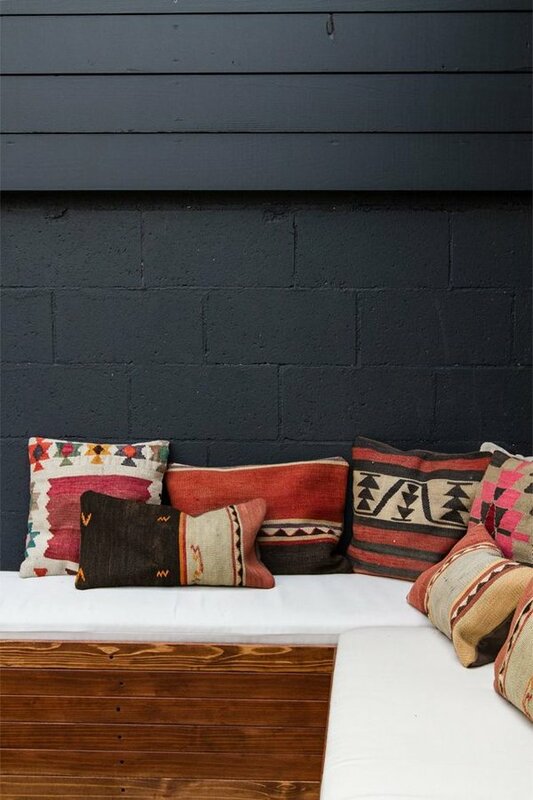 Some benches are built on top of the patio to provide some cozy sitting spots. The light wood finish of this small pallet patio looks so catchy, especially with those plantations which colorize its overall look. 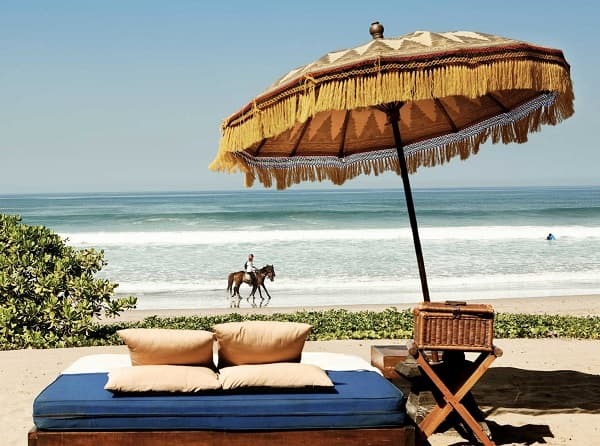 It’s enough to handle two loungers which are so joyful to use during the summer and spring. 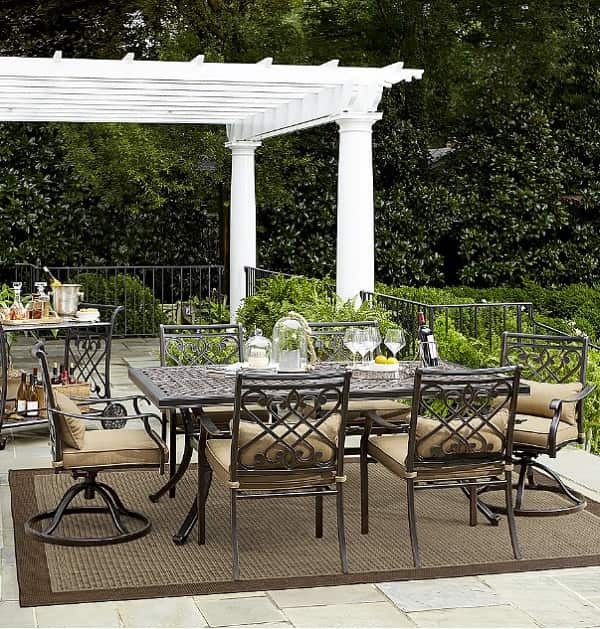 The unique pallet patio with two-tine finishes to add to your inspiration list. 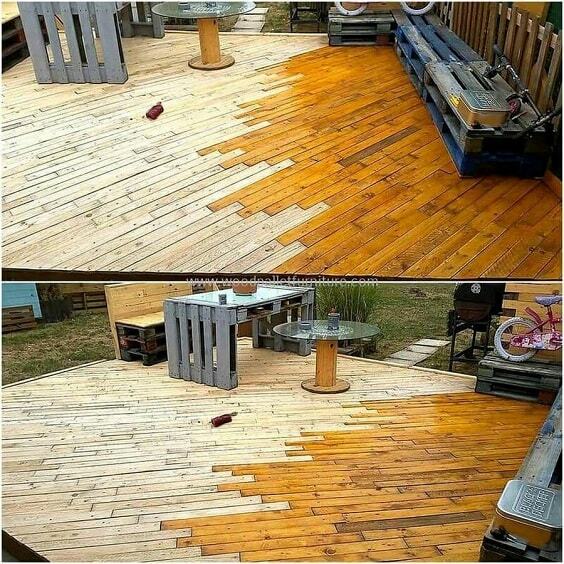 Its combination if yellow and light wood finish creates a catchy look that will make your backyard look so awesome. So those are some awesome pallet patio terrace ideas that you can add to your inspiration list. They are totally inspiring with their beautiful design which is also so joyful to use. From now on, you don’t need to think about the super pricey budget that you should prepare to build a patio. 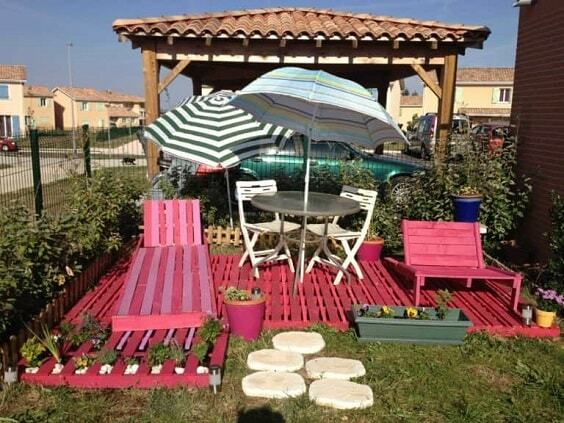 You will only need to purchase some cheap wood pallets and design your very own patio easily. 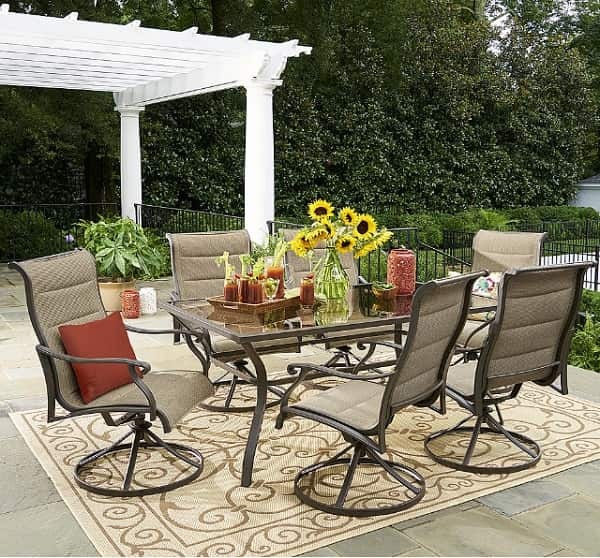 Just pick one pallet patio terrace that suits your needs and taste from those inspirations and get ready to have an exhilarating outdoor living space for everyone!